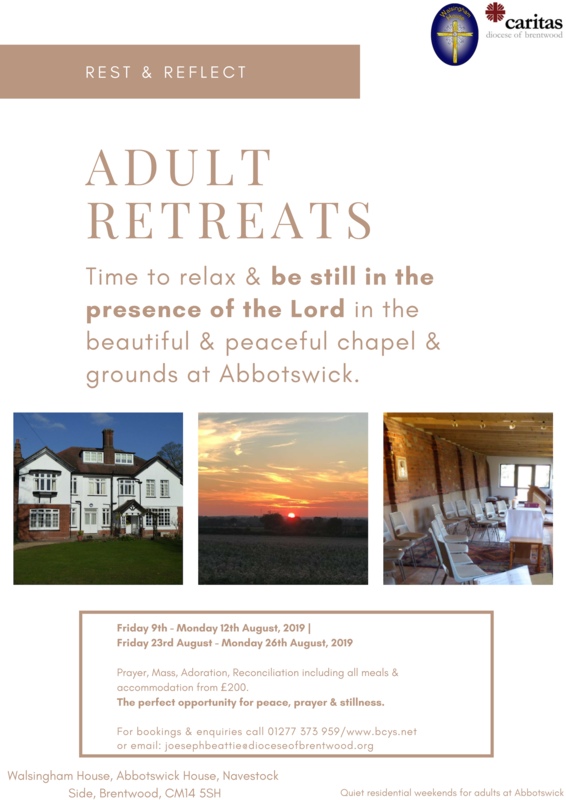 Time to relax & be still in the presence of the Lord in the beautiful & peaceful chapel & grounds at Abbottswick. Enjoy time to reflect and pray with the opportunity for mass, adoration and times for reconciliation. £200 for a single room, £250 for a twin, all rooms are en- suite. Three nights and four days, arrive mid morning Friday and stay until lunchtime on Monday. The perfect opportunity for peace, prayer & stillness. 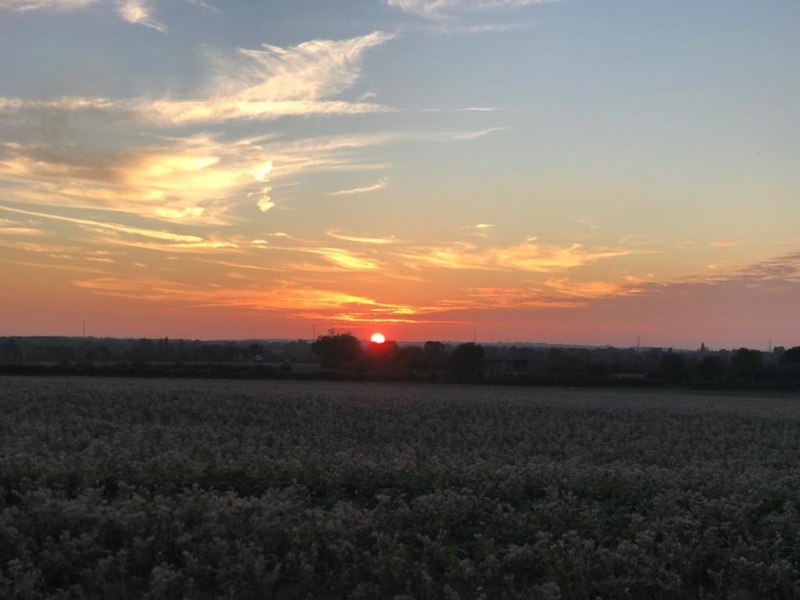 Walsingham House, Abbottswick House, Navestock Side, Brentwood, CM14 5SH.